You probably know that you can change Siri’s voice on your Mac, iPhone or iPad. You can also change Siri’s voice on your HomePod. The settings for the voice options are just in a different location in the Home app instead of the Settings app. Here’s what to do if you would like to change Siri’s voice to a male or female or give it a different accent (American, British and Australian are currently available). 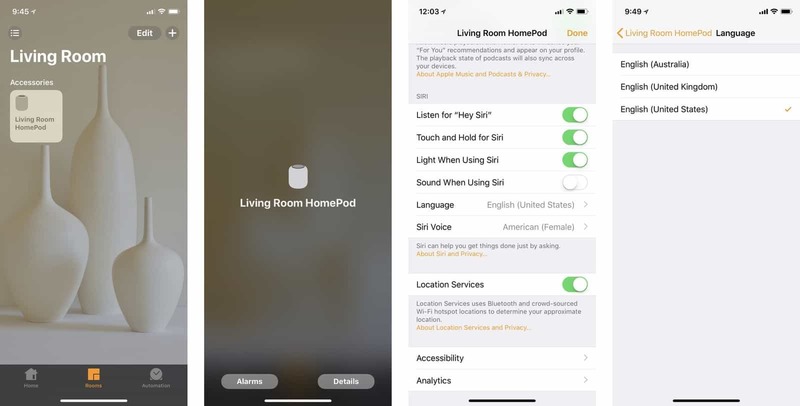 Open the Home app and find your HomePod in the list of Favorite Accessories. Long press or 3D touch on the HomePod. At the bottom of the screen, tap details. Scroll down to Siri. Choose Siri Voice in the menu here. Tap Siri Voice and choose the accent and gender for the voice that you wish to use. A neat thing about changing Siri’s voice on HomePod is that you are not changing it anywhere else. HomePod can speak to you in one accent that is different from the one you have on your phone. Currently, HomePod’s Siri has only a few language options. When it is sold in more countries and after a few software updates, Siri on HomePod will support more languages too. Fill out the form below and one of our qualified technicians will reach out. We specialize in business problems and work to help increase profitability by reducing chronic issues. What is the single biggest challenge your business faces? We value your privacy. None of the details supplied will be shared with external parties.